Happy Monday everyone! 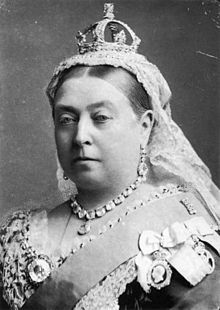 And if you are in Canada, HAPPY VICTORIA DAY! That’s right folks, it’s a whole day to celebrate me! Don’t push and shove, you’ll all get your chance to give me your warmest wishes. Please leave your very large gifts in the pile over in the corner. There will be cake and…ice cream, after the band plays…wait, what? Well fine, whatever, I didn’t need my own day anyway. But I could totally rock that crown. I went to a wedding yesterday wearing high heels and I didn’t fall out of them. This is a triumph. The wedding itself yesterday was great. My cousin and his new bride are so awesome and I hope they have an amazing life together. And they throw one hell of a party. My mother, who was also at the wedding, is probably the craziest, funniest lady I know. And girl knows how to get her party on. She drinks, she dances, she lives it up, and watching her reminds me that I take myself way too seriously sometimes. Today is also her birthday, so HAPPY BIRTHDAY MOM! After going to the wedding I was feeling kind of peckish, so I asked my brother to stop at McDonalds. Before he stopped at McDonalds he needed to stop at the drug store, where I waited patiently in the car for him. This gave me a moment to then talk myself out of having a late night snack. When he returned to the car I told him I was going to pass on the Mickey D’s. Victoria 1, McDonald’s 0. Today is a GORGEOUS day! My right leg is finally feeling back to normal, so I’m going to put on some tunes and head out for a walk. So friends, whether you’re at work, or enjoying this crazy Canadian statutory holiday, enjoy your day!